One of Wall Street’s top investment banking giants predicts Russia’s leading role in the global economic hierarchy. It’s still a long way to go, but within the current commodity paradigm it is going to be a tough row to hoe. Russia does not really have a choice except to restructure itself to meet the needs of the 21st century. One of the greatest resources of the country is its intellectual capital. Considering long-term trends, in the 20th century the leaders of the world were the Big Six economies. After World War II, there were a small number of mature market economies, which held the majority of power in global financial decisions, including currency regulations, banking and capitalization rules, trading legislation and so on. Today, we have a combination of the G7 countries plus Russia and some Asian countries. Going forward, all the indicators show that the power will be held by the emerging economies, a new G20 where there will be a general balance of power between old mature economies and the new emerging economies. With the historical position of China, which up until the 19th century was a dominant global force, it is clear that it will return to be one of the largest, if not the largest, global economy in the world. Goldman Sachs was absolutely correct in assessing that the power in the future will be held primarily by the BRIC countries: Brazil, Russia, India and China. In the year 2050, Goldman Sachs predicts China’s economy will be the biggest economy on the planet, almost twice as large as the U.S. economy. Immediately following the US economy will be the Indian economy, followed by Brazil. Russia is seen to be the world’s fifth largest economy. Russia will be a substantially larger economy than Japan, the U.K., Germany, France, Canada or Italy, according to Goldman Sachs. But it is important to note that these statistical projections are based upon Russia’s historical commodity economy and the continuation of the past policies of Russia, which include high monopolization rates, high concentrations of assets, resources and centralized power, low development rates for of SME business, low penetration rates of entrepreneurship in the general economy, high bureaucratic administrative barriers, high levels of corruption and so on. Even with each of these negative trends in Russia, Goldman Sachs still ranks this country as the fifth largest economy in 2050. How would Russia’s economy appear if today Russia seriously created the basis for an innovation economy? What would Russia’s GDP look like in fifty years, if Russia chooses a different path? 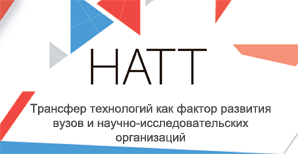 This is what I project for Russia. Russia can develop on a substantially accelerated pace of GDP growth, focusing upon the highest level of innovation and creativity, solving global problems in alternative fuels, biotechnology, nanotechnology, chemical substances or aerospace development. 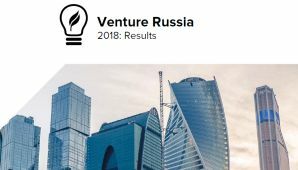 If Russia chooses to be an international leader in global innovation and new technology, Russia’s economy will be a substantially higher level of growth than it is now, potentially comparable to the U.S. or India. All depends completely upon what the Russian political and business leaders choose to do over the next 20 years.